Medications for epilepsy are mainstays in controlling epileptic seizures. But surgical procedures are another dimension in treatment. 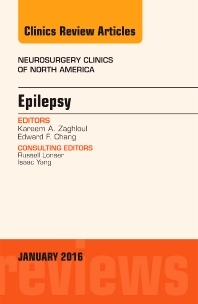 Included in this issue will be articles such as: Laser ablation for hypothalamic hamartomas and other epileptic lesions, radiosurgery for epilepsy, minimally invasive neurosurgery using focused MRI guidance, Selective amygdalohippocampectomy, and many more!